Chris first opened the practice in 1981 on the Harrogate side of the Starbeck level crossing. 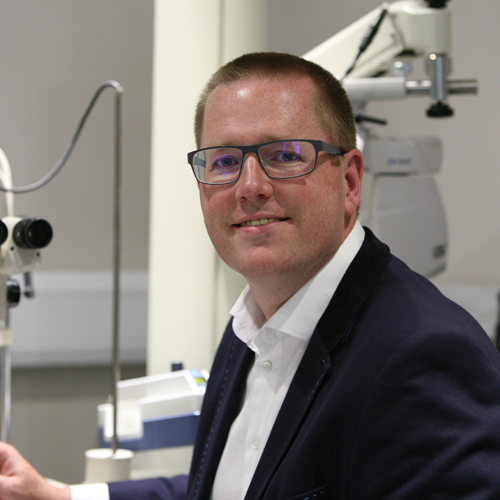 At that time he continued to work as a sessional optometrist and tutor at the Leeds General Infirmary building professional relationships with our ophthalmology colleagues. In those early years, his dad John was often found manning the desk on a Saturday morning! 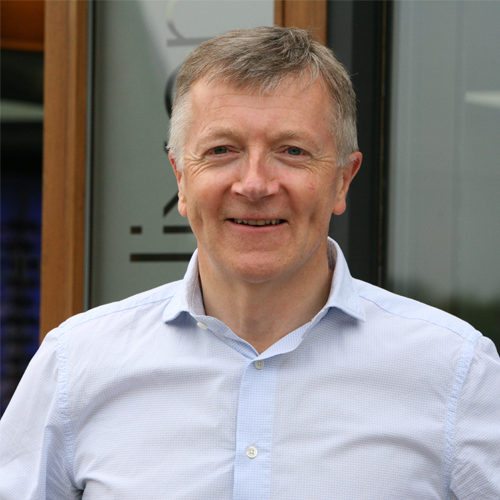 John soon developed an affinity for optometry and qualified an optometrist in 1985 at the age of 50! He retired to Wales in his sixties and still talks fondly of those years in practice. 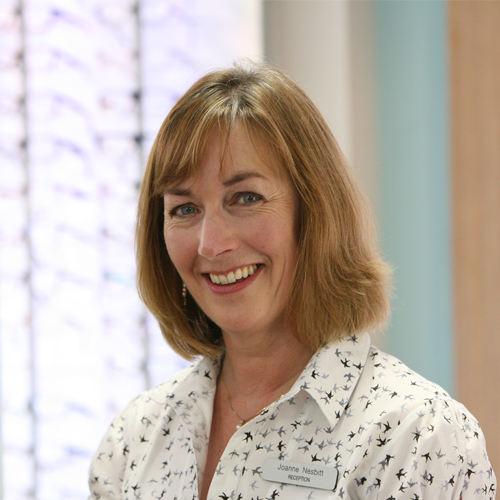 Over the years Christopher Nixon Optometrists have grown to a staff of 14 with a combined total of over 140 years service committed to providing you with the best possible eyecare experience. To get to know them a little better have a look at their profiles. 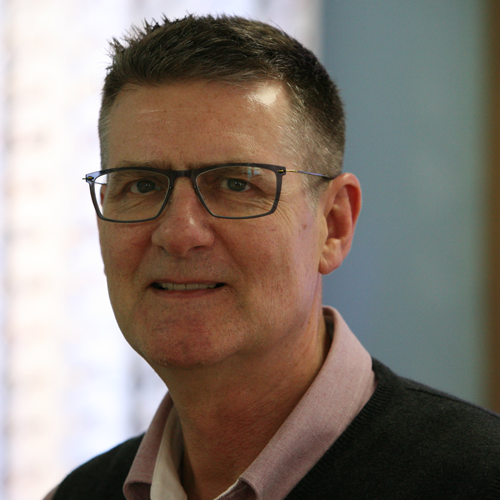 Studying in Manchester, Chris completed his qualifications in the Hospital Eye Service in 1979 and has continued some hospital optometry throughout his career. 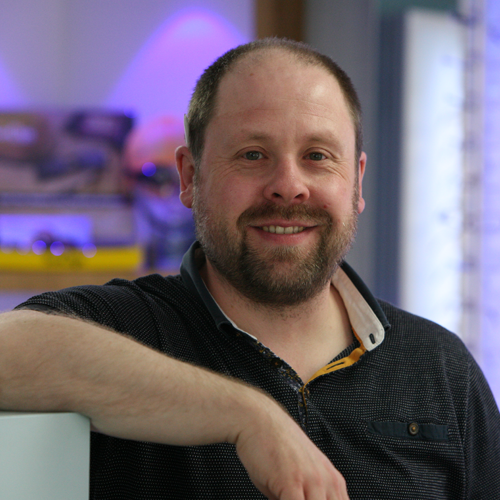 An excellent clinician, Chris has interest in all areas of optometry and contact lens fitting. Let’s just say a good number of years later, his enthusiasm for this practice is still a driving force and instrumental in its continued success. Away from work Chris may be found chasing around a tennis court with as much enthusiasm if a little less expertise! Giles followed his Dad into optometry and graduated UWCC in 1993. He has always worked in independent practice and established optometry-led diabetic screening in Plymouth. Since joining Chris in 2006 he continues his interest in the use of new technology in clinical practice. Giles is married with one daughter and away from work, cycles and plays squash and golf. Katie received her degree from Bradford University and completed her Pre-Registration Training with us in 2005. Having worked for Opticians in Leeds, she moved into the Hospital Eye Service in London before returning to Yorkshire and becoming a mum. Katie has joined us to work part time. A talented and charismatic dispensing optician, Martin and Chris first met each other in their student days but in 1989 Chris approached Martin to join the practice and the rest is history as they say! Martin’s strong following with our patients and his imaginative frame selection are legendary and are key to the commercial success of the practice. 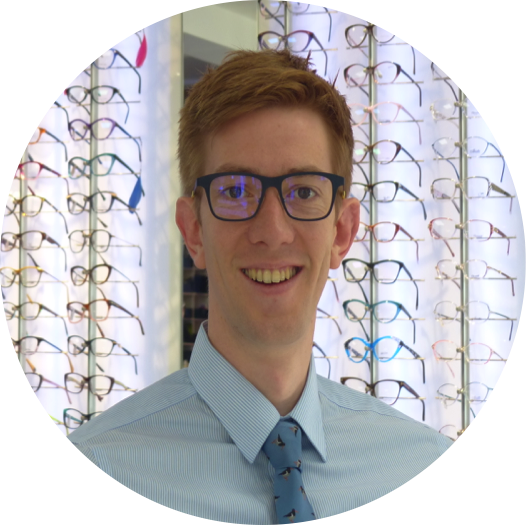 Having joined the practice in 2009 as our trainee-glazing technician, John qualified as a Dispensing Optician and is now our Dispensing Manager. He is an invaluable member of the team and his agreeable manner proves popular with our patients. Away from work John has a keen interest in Bradford Bulls Rugby League. 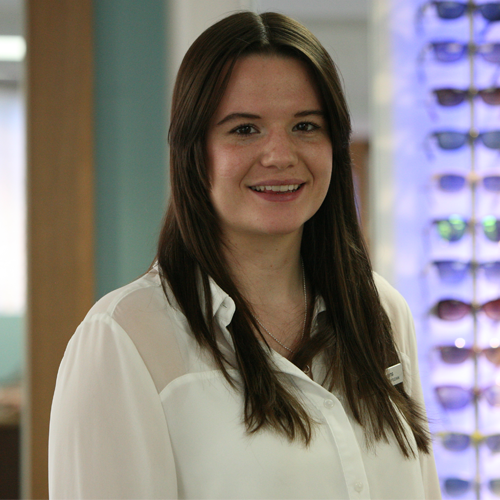 Becky, the youngest member of the Christopher Nixon team for now is currently studying to be a dispensing optician. Under our expert tutelage and with her enthusiasm to learn she is fast becoming a very competent dispenser. Outside of work she is a keen tennis player and certainly a lot more talented than Chris! Claire joined us in 2017. She has a background in independent practice and in lecturing to dispensing students at Bradford College. 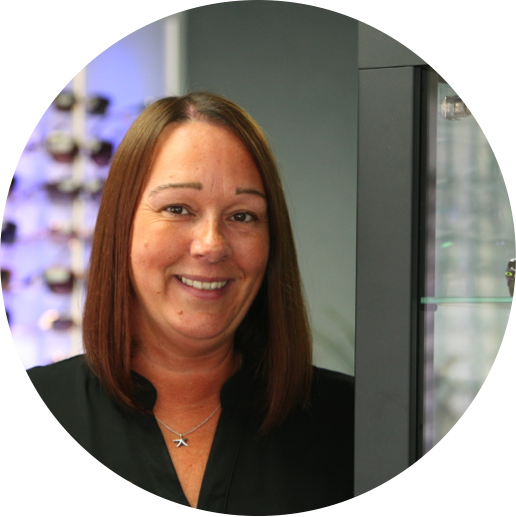 Immediately prior to joining us, Claire was the managing dispensing optician within a multiple practice so brings a variety of experience to the team. Claire enjoys the great Yorkshire countryside and especially exploring with her dog. Working for the practice since 1996, Sarah manages much of the practice administration and staffing with aplomb. Often to be found at the front desk, Sarah is generally an invaluable font of all knowledge for the rest of us! With the practice since 1995, Carole became full time in 2005. 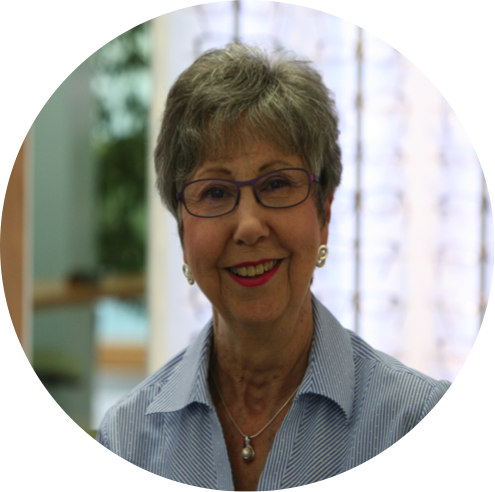 Along with practice administration, Carole assists patients with contact lens insertion and removal training and is a much valued and friendly member of the reception team. 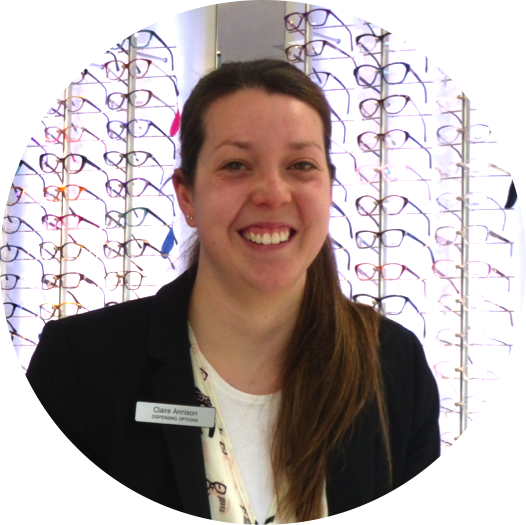 Megan has a Clinical Assistant Diploma and her role includes OCT, Optomap retinal imaging and visual field testing, at all of which she is highly skilled. 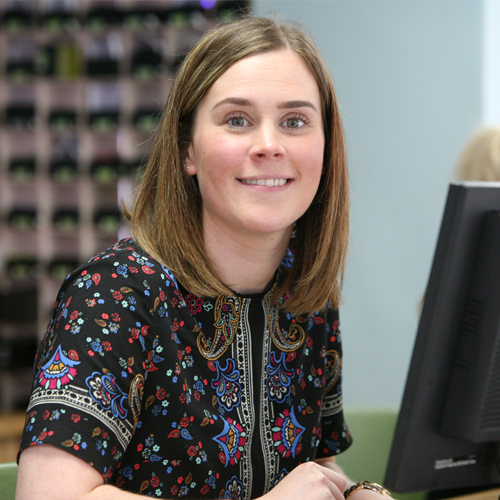 Megan is involved with our Optegra outreach ophthalmology clinic and handles the administration of both the Minor Eye Conditions and Glaucoma Refinement Schemes. You will find her at the gym when not busy here! 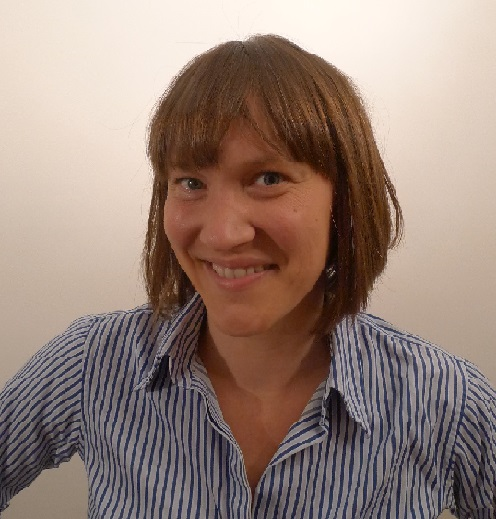 Formerly working at Martin Hoyle's practice, Jo has joined us on the front desk in a part time capacity. Her experience has been a valuable asset and she has slotted into the team seamlessly. 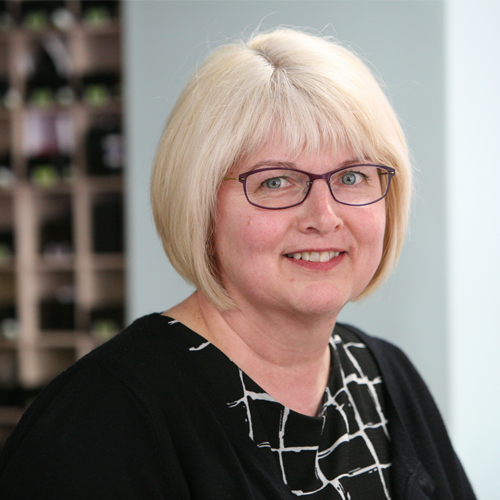 Working alongside Jo at Martin Hoyle's practice, Jackie has also joined us in a part time role. 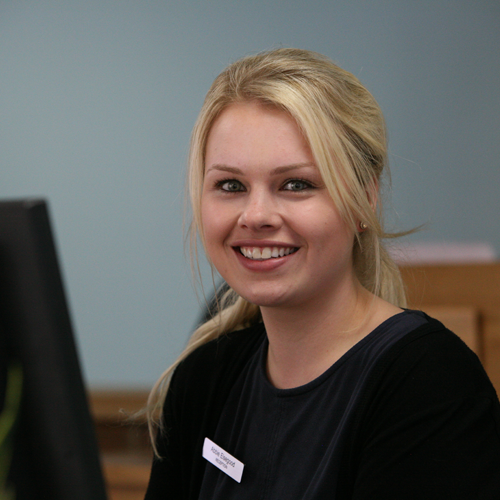 She is a valuable member of the reception staff and has added her experience in practice administration to our strengths. Abbie joined us from a multiple practice and has fitted in so well that is seems she has always been here. She has effortless charm on the phone or in person. Away from work she enjoys to travel, socialising and running. Steve is our highly skilled glazing technician. Since joining us in 2010 he has greatly enhanced our capacity to provide high quality spectacles from our modernised glazing lab on the premises. He specialises in Lindberg frames and outside of work he regularly enjoys a kettlebell workout and has medalled at the national championships.